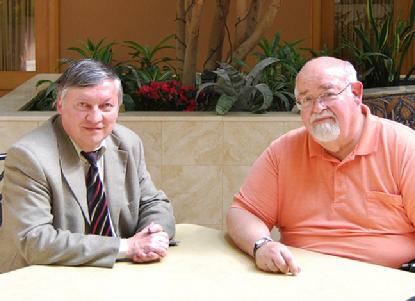 Seven-time World Chess Champion Anatoly Karpov, while in Chicago for the Chess for Peace tournament, sat for an interview with Irwin "Wes" Fisk. Karpov gives us some behind the scenes glimpses of Soviet preparations for the famous Fischer vs. Spassky World Chess Championship in 1972, the Soviet reaction to Spassky's defeat, Karpov's own quest to play Fischer, and ultimately their face-to-face meeting. What follows is an edited version of the 1:20 minute interview. IWF: When did you first become aware of Bobby Fischer? AK: People started to talk about Fischer, but I was living very far from Moscow at that time and we had no Internet, no TV, so information was slow in coming. But, of course after the Candidates Match everyone knew Fischer. IWF: How old were you in 1971? AK: I was 20 years old. I was already one of the strongest grandmasters. IWF: Spassky was in preparation to play Fischer for the World Championship. Had you played Spassky? AK: Yes, I played a training match with Spassky. He asked me to play training games, but we played only one game. Spassky won this game even though he had a lost position, but I made a stupid mistake, and after this suddenly Spassky said he doesn't want to continue this training match, so maybe he was happy he beat me in that game. IWF: Where was this game played? AK: We were near Moscow. IWF: Was it at a training facility? AK: Spassky had a training session before he left for Reykjavik. He had some problems in making (putting together) his team and making last minute preparations, so he wasn't concentrating so much on chess. I stayed at the training session two weeks, and almost every day Spassky was going to Moscow and coming back. It was near Moscow, like 60 km from Moscow, but he had to go to the city every day, so you can't concentrate. We were analyzing a lot. (Efim) Geller was there. Then, (Nikolai) Krogius was there, then Livo Nei, so that was his team. Reykjavik was soon, and I was there, but the main piece (Spassky) was not there. Spassky was coming only in the evenings, and as I said it was not very serious what he had done. IWF: Were you playing at a government facility? AK: No, it was at a health resort. IWF: What do you think was going on with Spassky? Why wasn't he coming to train? AK: He was very self-confident and he had a positive score in his previous games. He had played well against Fischer in previous games before the match. Spassky, as I said, was quite sure he would beat Fischer in spite of the impressive results Fischer showed in the Candidates Matches. It is known that Spassky is not a big worker or hard worker in chess. He is quite lazy, so he didn't work too much on chess. This was the main reason he was defeated by Fischer. If you recall the games, it was game four when Spassky with black showed a fantastic novelty which was prepared by him and his team. I know this novelty. But, what happened is Spassky didn't make the effort to memorize it, because it was winning by force. Geller told me when they started to repeat this before the game, Spassky, after three or four moves into the novelty, said, "Oh, this is not so important, because I will find it (the moves) over the board." So, he didn't remember the moves and he didn't win the game, which was already won at home. This was extremely important because Spassky won the first game, a strange game. Better not to say that Spassky won the game, but that Fischer lost the game. Then, Fischer didn't appear for the second game, and Fischer won the third game, so if Spassky had won game four with black, he most probably would have won the match. He just didn't play well after game four. Both players had lost so much energy in the first 11 games that they were like boxers in the last round. Tired. Spassky could have won many games in the second part of the match, but he missed everything. Then, Fischer won everything. It certainly brought chess to the forefront. IWF: Did you go to Reykjavik? AK: No, I didn't go to Reykjavik. This was a mistake by the sport leaders of the Soviet Union, because it was considered that I should go, not as a part of Spassky's team but just to watch and understand the championship match and to get experience. On an official document from the (Soviet) Federation, one of the sports leaders in the Ministry of Sport wrote that it is too early for Karpov to go, because they didn't see a great future for me for the world championship (laughter). I was watching the games (from Reykjavik). We were making preparations for the World Chess Olympiad. I was there with (Tigran) Petrosian and (Paul) Keres and (Viktor) Korchnoi and (Mikhail) Tal. I mostly analyzed with with Keres and Korchnoi. AK: Near Moscow. I remember that summer because it was very hot and there were fires all around Moscow. Fire of the turf (peat). You could smell the smoke. We were in the city of Dubna. Dubna is famous for its nuclear energy institute, and Dubna for that certain moment was one of the chess centers. Many scientists were playing chess, so they liked chess players to come there. So we stayed in the hotel in the middle of the city. We analyzed together with Keres and Korchnoi most of the games that Spassky played against Fischer. I found ways that Spassky could get a winning position in the opening of the Alkehine Defence. Fischer played the Alkehine Defence and Spassky missed a very big advantage. IWF: Geller and Krogius went to Reykjavik, as I recall. AK: It was the team of Spassky, Geller, Krogius and Livo Nei from Estonia. We had our team, the Soviet Union team, which were preparing for the chess Olympiads. IWF: What were the team members saying as the Spassky vs. Fischer moves were coming in? AK: We could see it was a very big fight. Very emotional. Actually, my friends on the team with whom I was working were impressed by one of the adjournments where Fischer had the advantage, but after the adjournment he played a very sharp line and he analyzed very deep because it looked dangerous. But Fischer analyzed very deep and won the game which had many complications. We were impressed by the quality of his analysis of that game. Fischer showed many novelties in the opening, so it was clear that Fischer had prepared very well. IWF: I know Fischer was playing P-K4 (e4) so much before the match that there was a cartoon on the cover of Chess Life that featured Spassky at the board, surrounded by the Soviet team. One asks, "But Boris, what if he doesn't play P-K4?" Were they training for a variety of openings or did they place more emphasis on e4? AK: I wasn't there for all of the training, but Fischer had to play d4. IWF: At what point did you and your team realize that Spassky was going to lose the match? AK: Fischer took the lead very quickly after he lost the first games. Spassky couldn't show anything; he was playing very bad. It was already clear that Fischer was playing better chess at that moment. Later, nobody expected Fischer to lose. IWF: When Spassky lost, there was a lot of talk that he wasn't treated well. AK: What do you mean he wasn't treated well? IWF: The Soviet authorities were unhappy that he lost; there was so much at stake. AK: The Soviet authorities were very disappointed, and of course chess players had deep (many) privileges within the society until that moment. We started to come under attack years later, not immediately, but at that moment the prizes (money) were not taxed. Spassky received the full prize (money) without paying any taxes, but then he began to behave strangely. Probably this was a reaction for his defeat, and so he didn't feel psychologically well. He started to behave a little bit arrogant. He just made the leaders disappointed and upset. They gave full support to his preparation. They put some conditions which Spassky didn't like about forming his group. They insisted that he have security as part of his team. Spassky didn't want it. Spassky wasn't happy. He was not free to take everyone he wanted and he wanted not to take other people. This, as I understand, was the only inconvenience. These people thought Spassky should behave different after losing this important match. He had problems with his private life, which was being criticized at that time. In the Soviet Union, the moral part of life and the private life was to be under control, always. Spassky, from their viewpoint, wasn't behaving well. At the end, they (Soviet authorities) attacked not only Spassky, but all of our advantages. In 1975, they created a law under which we gave part of our prizes (money), a big part of our prizes, to the state. AK: When I played my match with Korchnoi in 1978, I received only 20% of my prize. IWF: 80% went to the state? AK: Yes, Spassky received 100%. IWF: So that hurt chess players from then on. AK: Before Spassky lost to Fischer, and two years after, we didn't give any money (to the state) from our prizes. From exhibitions, yes, but not from prizes. I was the biggest victim in 1978. We had good money in the Philippines, but I had to give most of my prize to the state. IWF: Did they call it a tax? AK: No, actually it wasn't a direct tax. We had to give it to the Sports Ministry. They called it participation in developing sport and chess in the country. IWF: Didn't Spassky move to France? AK: Yes, he moved to France in '75. This was described when the leaders said, "This is enough. We gave chess players everything and they didn't behave well." IWF: At that point, did you know who would become the challenger? AK: No, first I played in the Interzonal Tournament in Leningrad which was much stronger than the counterpart in Brazil. It became clear after the quarter finals that we had qualified already Spassky, Petrosian, Korchnoi and myself. I beat Spassky in the second match. The second match, (semi-finals) I lost the first game to Spassky, so this was the most difficult match for me. He wanted to play another match with Fischer, so he prepared quite well. When you lose the first game with white against Spassky, this is not a good start. But, then I started playing very well. I think I played my best match against Spassky. I won convincingly. I had finals with Korchnoi. Then I beat Korchnoi and in between Korchnoi won his match against Petrosian. Spassky lost to me. We played in the Chess Olympiads in Nice, so this was not only important for chess but also for chess politics. If you remember, Fischer sent an ultimatum to the congress that was taking place in Nice during the Olympiads. I remember in this congress that I made a speech on behalf of myself and Korchnoi, because at that moment we were the two who could play Fischer. I was talking on behalf of two, so we discussed the things we should sell (stress). Korchnoi asked me to talk because it was known that when he became emotional or nervous, he would say much more than he should. At that time we were friends. So I mentioned it to the delegates to the congress, but then when I beat Korchnoi, he gave an interview and changed his position completely. He said absolutely a different thing and so this was very unpleasant for me. The congress in Nice didn't accept Fischer's demands, and I must say this was not realistic, what he wanted. IWF: So Fischer was making demands even before you became the challenger? AK: Yes, then he continues to demand these conditions, so we had an extra-ordinary congress in '75 after Nice. In this congress there was a big fight and at the end the delegates accepted one of the conditions of Fischer to play without limits to 10 wins, which was crazy. Then Fischer sent them telegrams saying if they didn't accept everything from his ultimatum, he's not playing. IWF: At what point did you as the challenger know that you were not going to play Fischer? AK: The first deadline was the first of April, so Euwe tried to contact Fischer for another two days, the second and third of April, and when he didn�t succeed on the fourth of April, he announced me as the new world champion. IWF: Was there ever a time leading up to that, that you thought Fischer might play? AK: No, I didn't bother too much. I just made my preparations. I was just doing my job to prepare the best way I could. If I was thinking (worried) about whether Fischer would play or not, I couldn't make my preparations. I tried not to think about this. IWF: Once you defeated Korchnoi and became the challenger, was there a preparation team assembled for you? AK: I made my own choice and continued with the same seconds I had. AK: My main one was Semyon Furman. He was my trainer since the year 1969. Efim Geller, who helped me with my match against Korchnoi. I needed specialists in the openings. So at that time I was with Efim Geller, and later I invited Balashov who was my friend for many years, and especially because he made his diploma at the Sports Institute about Fischer's games. He was the Fischer specialist in the team. I also had a team for fitness as part of my preparation. IWF: When the deadline passed, and Max Euwe declared you world champion, where were you? AK: We were at a training camp near Moscow. I remember I was playing tennis at the time the journalist came from Moscow and said there was a declaration that Fischer didn't confirm, so they declared me world champion. IWF: What was your feeling at that moment? AK: Two feelings, first, okay, I was happy that I had been declared the new world champion, but second I was not very happy that I couldn't play Fischer. IWF: Were you angry at Fischer for not playing? AK: No, it's difficult to say. Like I said I had two feelings. If I hadn't become world champion, I would have been angry. But I played very well during the whole cycle. I played the best Interzonal tournament of all the matches, so when I recalled all the matches, I felt I deserved it. But I didn't expect that Fischer would leave chess forever. I thought OK, I became world champion and we can negotiate and we can play. IWF: When you said you were preparing to play Fischer you were pretty much on your own. Did you make any special preparations? AK: I just studied. I must say I didn't have too much pressure from the officials, so I received funds. I presented this (my plan) to the Minister of Sports of the Soviet Union and they accepted. So after this I was ready. IWF: Were you at the training facilities outside of Moscow? AK: Yes, in Moscow it was difficult. They have many friends. It's difficult to go out somewhere. Better to go somewhere in the country, then you have better control. I was with my team at a special camp of the Olympic team near Moscow. IWF: When you were preparing with Geller and your team, what would a typical day be like? AK: I was getting up late, because I go to sleep late. I was getting up at half past eight or nine o'clock, then a small physical exercise. Then breakfast. After breakfast, we worked on chess maybe two or two and one half hours, then one hour of tennis or swimming. Then lunch, then after lunch a one-hour break, then a chess game. Then more chess for two to three hours, then another half to one hour sports, then dinner. Then (after dinner), of course not every day, we could spend time on chess preparedness or have free time. IWF: How long were you at this camp? AK: We had camps from two weeks to three weeks, then we had a break for five or six days, and then another camp or a tournament. IWF: Who was in charge of the Soviet Chess Federation at that time and who would you answer to? AK: We had a chess department in the Ministry of Sport. Mr. Baturenski was the head of this department, so he was responsible for all chess players and events. He was the person I contacted. Pavlov was the Minister of Sports. He was famous as one of the best ministers of sports in my memory. IWF: So, they tried to give you all the help you needed? AK: This was a system that was established by Botvinnik as soon as Botvinnik became world champion. It was always like this. They did nothing very special for me. It was just a continuation, so if Spassky hadn't made this crazy match... Spassky had the same situation and so he received everything he asked. IWF: Had you met Fischer before you became the challenger? AK: Yes, I met Fischer when he became world champion, three months later. AK: This was in San Antonio. There was this organizer, Mr. Church, invited Fischer for the closing ceremony on the last day, so Fischer arrived. This was my first meeting with Fischer. He knew all the others (players). He had played with them before, but we had never met. Fischer came five minutes before the round, so he shook hands with everybody, every participant. Then he disappeared and so he didn't stay for the closing ceremony. I didn't see him anymore, only this one minute. IWF: What was your impression of him at that time? AK: He looked very nice and friendly, so I had a good impression. I think it was nice to invite him as a special guest for the tournament, a great tournament. IWF: To digress a moment, I understand Krogius was on Spassky's team as a psychologist? AK: He was a grandmaster and a psychologist. I don't know in which role Spassky invited him. Spassky had good relations with Krogius for many years since the beginning of the 1960s. I believe Spassky made a very big mistake before the match when he stopped his relations with (Igor) Bondarevsky who was his main coach or trainer for many years. He gave us lectures, and he understood chess very well and he understood Spassky much better than Krogius, psychologically. IWF: Looking back on Fischer's demands, do you feel any of them were valid? AK: I think about the conditions of playing, some things he exaggerated, but not too much. He was fighting for the best conditions for the chess players. What he wanted was necessary. After Fischer stopped playing and I became world champion, I just followed the book of rules which we created for our match. Light is very important, because if you must concentrate for hours and sit in one chair for hours and days your chair should be comfortable and lights should be good, otherwise you become tired quickly. Fischer was correct, absolutely right. IWF: You eventually met Fischer again? AK: I met him in 1976 in Tokyo, Japan. Fischer came especially to see me. At that time I had to obtain a Russian visa to leave the country. It was not free and I had to report why I should go to one country or another. Fischer was free to travel, so the possibility was for Fischer to come to where I am. (Florencio) Campomanes had spread a lot of rumors that Fischer would come to the Philippines for an important tournament in Manila. But the last day came and Fischer didn't arrive and everybody thought this was just a rumor. Suddenly Campomanes told me that he decided to visit Japan. At that time he was already FIDE vice-president of Asia. He said he didn't see for a long time Japan and (Yasuji) Matsumoto, his friend, so he would come to Japan with me. Of course he knew the next day I would fly to Tokyo and that I would be there for two days. IWF: So Fischer flew there just to meet you? AK: Yes, Campomanes joined me for the flight to Tokyo, but of course he knew already Fischer should be in Tokyo. When I arrived, Matsumoto was already in the airport, then we agreed to have dinner in the Hilton Hotel. I was in the hotel and then Campomanes stopped there in the Hilton. He asked me to come to his apartment (suite), so I came to his apartment and he said I should expect a surprise. Suddenly, Campomanes went out and one minute later he came with Fischer, so this was a big surprise, of course. We greeted each other and shook hands, and then he started to talk. I think Matsumoto presided at this meeting and said why don't we all go have dinner together. It was unbelievable, because the Hilton is a big hotel, but as I remember we got to the restaurant at 7:00 o'clock in the evening and there were no other people in the restaurant. I was especially amazed that we had a table for four with no other people. We had a very quiet dinner; it was maybe like two hours. We discussed the possibility of playing a match, so of course we realized if we would have met before, we would have played in 1975, a match. But, I think Fischer wasn't ready to play, psychologically. He could not even tell himself he wasn't ready. Yet, under pressure from Compomanes, he forced Fischer to come. When Fischer was with Campomanes, he [said he] was ready to play, but when he was alone and probably for himself he was saying, "No, no, I�m not going to play." I think this was his problem. IWF: When you were having the conversation with Fischer, what did he say about no playing you? AK: No, we didn't discuss this. I realized Fischer was a complicator and argumentative. I realized immediately he hated Jews and Communists. IWF: So he was talking about that even at that time? AK: Yes, he started talking and he was changing things (topics) talking about that. I said, "Bobby, let's forget about this and talk about our match in chess, not about politics, not about these things." So it was maybe his way to avoid the problem. Otherwise, he showed full respect. I know from other grandmasters that he respected chess players, especially very strong chess players. So we had a good talk, good meeting. IWF: Would the match be outside of normal channels or would it be for the world championship? AK: He understood and realized and I understood that it would be the biggest match, so it didn't matter, the cycle. For Fischer, this became important. Probably, I believe this was the final excuse for him not to play, because he insisted to have the title of Absolute World Championship of Chess Professionals. IWF: It seems odd that he would come into this conversation ranting about Jews and Communists. AK: This was not the beginning. IWF: Where were you when you heard that Fischer died? AK: I was in Germany, in Hattenheim, a famous place of Formula One racing. I have a chess school there and we had a training session with the junior team of Germany. I think the director of the school came and said he had received news that Fischer had passed away. It was very sad. IWF: What did you think at that time? AK: Just as I said, it was shocking news, but I knew he had some health problems maybe due to this prison in Japan. Also, he was captured in Pasadena. He wrote even a small book about his days in prison in Pasadena. He wrote that he was beaten. So, who knows. Maybe this was one of the reasons he started to have health problems. He was swimming, playing tennis and so he paid attention to his health, but suddenly he got these problems and as we know now he didn't want to take his medicines, even medicine recommended by doctors. He didn't believe them that he had these problems and so he died in the hospital. Of course the chess world lost a fantastic chess player and an extraordinary person. You may consider differently his declarations, but he was outstanding as a chess player. As I say, he probably was one of the most famous American citizens, even if he didn't live all these years in the United States. He was one of the most famous, maybe Kennedy, Fischer, Elvis Presley. This is why. Marilyn Monroe. Even now, I know for sure in Russia if you asked people, they would say Fischer. During one of Karpov’s visits to Lindsborg in 2002, he generously granted a 45-minute interview to Irwin W. Fisk over lunch. He talked about computers, cheating, drug testing, the Internet, chess psychology, Bobby Fischer, and the state of chess today. The interview was subsequently published in Chess Life in 2003. What follows is a condensation of that interview. IWF:	When you were in Botvinnik’s school, he predicted computers would beat human players. Did you believe him? IWF:	Computers are commonplace now in chess. Do you think the computer will ultimately help or hurt chess? AK:	Maybe it’s not bad for promoting chess, but I believe all the encounters between people and computers are not on an equal basis. Computers have a database with all the knowledge, but a human being cannot use books to access the same database. The computer can recall any theoretical variation in just parts of seconds. So, for humans this is a waste of time, energy, and knowledge. Equal conditions would be if you would eliminate the database from chess playing programs. Most chess programmers would not agree with this because the level of the computer would go down tremendously, maybe one or two levels. IWF:	When Kasparov played Deep Blue, did you predict the outcome? AK:	This match was very strange for me from the first game to the last. The first game was a complete disaster for the computer. I predicted then the match would be 6-0, but then Kasparov began to play very strangely, and probably for the first time in his life he resigned in a draw position where he had a perpetual (check). He had three obvious moves and he could see the possibility of the perpetual check, but he resigned. I think the fifth game was a win for him during the first 20 moves. The last game was very strange because Kasparov played an opening he never played with Black, the Caro-Cahn defense, but he knew the theoretical part of this opening because he has played so many games from the White side. When Kasparov made the choice to sacrifice, I said, ‘We will see a great theoretical discovery today because theory says this position is lost, but if Kasparov plays it, it means he knows something.’ After three or four moves I thought Kasparov forgot this was a loss for Black. If the computer sacrifices something the compensation is tremendous. I think Kasparov terrorized himself with the computer. H was always talking about the computers: “You can never beat them.” I think he was not ready psychologically. He played much better than the computer. Krammnik was winning and he was playing exactly how you should play a computer, but something also happened near the end of the match. He changed styles; he changed everything. He lost two games in a row and there is no good explanation for me as to why it happened. IWF:	Computers are getting smaller, thus increasing the probability of cheating at tournaments In a recent issue of Chess Life, a player said he believed that tournament play would eventually be limited to one-hour games where the players couldn’t leave the board. Do you see this happening? AK:	No, it is possible to control this. If a person is caught, then he should be disqualified for a long period or their whole life. They are doing stupid things now about doping (drugs) in chess. Nobody knows what doping is, and if a player drinks something it can only make him weaker, not stronger. It is not surprising that many chess players are protesting this. What is real and should be denounced in chess is to have advisors and advice during a tournament. The federation and arbiters should control this like they do in the Olympics. IWF:	You have said that you believe playing in Open tournaments is harmful to a player’s chess development. Why? AK:	The tactics and style when you play in Open tournaments is 100% against the logic of chess and against the normal way to play chess. People who are playing successfully in Open tournaments are not playing their best chess. They habitually take a lot of risk. If you want to become a World Champion you should avoid playing in Open tournaments. This is a big contradiction in modern chess because there are so many Open tournaments, but in general I think this is not good for players. How to solve the problem, I don’t know. IWF:	I know that you have loved to play Blitz chess for many years. Is it a coincidence that your upcoming match with Garry Kasparov is a rapid chess match? AK:	No, this is not for a title or a big prize. This is mostly to promote chess, so we wanted to do something that would not take a long period of time, so that left only the possibility of rapid chess. IWF:	Do you ever see a time when a major chess tournament will be played on the Internet, providing there are assurances there wouldn’t be cheating? AK:	Chess as it’s now played on the Internet is a different thing from real chess. I think there is a possibility, but I believe for top professional play the Internet will not replace what we have today. As for amateur chess, for friendly matches, this is nice. IWF:	As a quick aside, I understand you are a stamp collector. What do you collect? IWF:	You indicated that you had recently written a book on chess psychology. The East Germans successfully used something called mental imaging in their sports programs. Was it used in chess? AK:	They didn’t use it for chess, but they used it for other sports. It could be used if somebody had some psychological problems after losing or some crazy situation in which he became unstable. They had scientific groups in the Soviet Union, but mostly they developed techniques for saving a person’s energy during heavy competition. I believe it is true in sports and chess that if you have a weak nervous system, you can never be on top. If a player has a weak nervous system, he will need special training, but for us life is special training. IWF:	What is the current state of chess in the countries that made up the Soviet Union? AK:	A lot has changed. People have less time for their hobbies because of a bad economic situation. The economy is improving, but life is still difficult for most people. In general, chess is still very popular, so people are playing in the streets and in chess clubs. In the past, chess clubs normally had facilities in the center of the city, and these were in nice areas that could be easily reached with public transportation. Now many of the cities and provinces want to sell these chess club buildings to commercial interests. We have a special law in our country where sports and cultural organizations can rent facilities for a low amount from the cities. Chess clubs are now defending themselves in many area of Russia, but in some places we have successfully defended our rights. They are always trying to take the buildings from the chess players. IWF:	The big corporate sponsors, such as IBM and SWIFT have stopped sponsoring major tournaments in Europe. Do you ever see a return of corporate sponsorship to chess? AK:	This has to do with the problems when GMA was in existence. In many cases organizers cheated chess players; some organizers didn’t fulfill their obligations and tournaments were cancelled at the last moment, so this was very bad. But we never talk about the obligations of chess players. 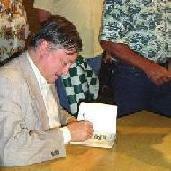 Chess players should play with a signed contract, and they have obligations to the organizer. If they agree to play in a tournament, they must be at the opening ceremonies, and even if they have lost interest in the tournament, they should not escape the closing ceremony. 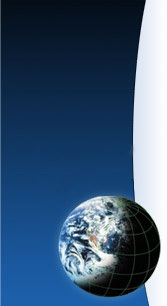 This is part of the tournament. I think this lack of mutual obligation is very bad, and companies do not appreciate this behavior. Chess players are guilty in many cases, so they must be self-disciplined. If you play in a well organized tournament in nice facilities, then you must dress up so you will be respected. Then you can demand something. If you appear like a bum, what company would commit their name to such behavior. IWF:	I noticed when the Soviet team played in Lone Pine, they were always well dressed. AK:	People in Europe spend a lot of money to stay in five-star hotels, and they are normally well dressed. Suddenly you have a tournament with 12 or 14 players, and some of them look like alcoholics from the street. This is a bad image for the hotel. European organizers were complaining that management of the hotels didn’t like this situation. IWF: Bobby Fischer was recently stripped of his membership in the U.S. Chess Federation because of statements he made after 9/11. What is your opinion of this? AK:	I do not think chess federations should make these kinds of political decisions. Chess federations should be concerned with only chess; if there is a problem with a player, then their government should deal with it. IWF:	You have sponsored a number of chess schools throughout the world. How did you set these up? AK:	The idea came when the time was very bad for Russian chess. We used to have the support of the state and the trade unions. Trade unions were very powerful, financially and in other ways, so they participated in sports, art, culture, and education, but then they stopped everything. When we lost the support of the state and the trade unions, chess education in Russia disappeared for about seven years. I founded an organization, just in Russia, and invited a very famous person to be president. He was vice-prime minister, an honorary professor, and a very famous economist. He was my professor when I graduated from the university in 1978. He called this Chess Schools in Russia, and working together we started 14 schools in Russia, all in different provinces. They are commercial, and I do all of this with the support of companies, but especially the governors. The central government is Moscow doesn’t care what happens in Siberia, so that’s why it was right to go to the governors of the provinces. When I talked to the governors they liked the idea of chess because they can support talent and it’s not expensive. It’s good for them. When I open a chess school, I have an agreement with the governor. He personally, or the mayor, signs a contract stating the school will exist at least five years, which give us time to show some results. I don’t like it when a school opens for one year then closes. It is bad for my name. It has never happened and I prefer that it never happens. IWF:	Are you thinking of setting up any schools in the U.S.? AK:	Chess is already in the U.S. schools. I think there is progress with chess in schools in New York; I was there for the inauguration of this program in 1996. This program was started by Mayor Dinkins when he introduced chess mostly in the poorer schools. They had fantastic results. One of the poorest schools in Harlem became one of the best in New York. I’m not talking just about chess, but everything. There are several schools like this, including two public schools in Montreal that I visited. They have two chess lessons a week. I know in the United States there is an interest, so we shall see. IWF:	What do you think tournament organizers can do to make their tournaments more attractive? AK:	I think in general there are types of tournaments we could promote to make them more attractive. In general, I’m not in favor of the emphasis on Elo ratings. I believe it creates a strange situation in chess tournaments where chess art is on the backside and Elo points are on the first rank. We should first think about the beauty of chess and the most interesting games. I’ve thought about this problem for a long time and how to improve the situation. I hear players saying they increased their Elo rating or lost some points instead of saying I won the tournament or I was close to winning the tournament. I think in general, particularly the international federations, should think more about making it more prestigious to win the tournament and to play for the fighting spirit. This is the problem with modern chess.